With the visual kei scene being as full of rather faceless soundalikes as it is, it’s good to have bands like NoGoD pop up every once in a while. While the band does not use any elements that are all that different from what most bands in the scene are using – modern hardrock, melodic heavy metal, subtle hints of pop punk and J-rock aesthetics – they were always just a bit better than their peers. And with ‘Proof’ being probably the most consistent release NoGoD has released thus far, it rivals ‘V’ as the perfect album to get acquainted with them. Stylistically, NoGoD is always at risk of being too little of multiple genres to appeal to fans of the respective genres. Approach them with an open mind, however, and you will find a lot to enjoy on ‘Proof’. Dancho is without a doubt one of the best and most unique singers in Japanese rock. Some people are apparently put off by the fact that he is always belting passionately, but I think that is one of his biggest assets. In addition, the rhythm section is rock solid and Kyrie is one of the more creative lead guitarists in the country. ‘Proof’ was preceded by two excellent singles. Selecting single was not always NoGoD’s forte, but they hit the nail on the head this time around. ‘Missing’ is very melodic and elegiac in atmosphere, but at the same time, the riffs are undeniably heavy, which pushes the song out of the power ballad territory it would have been in otherwise. Certainly one of the best songs in the band’s discography. ‘Arlequin’ is a little more uptempo and aggressive. It’s not quite heavy enough to be metal, but there’s a lot of metallic chugging on the lowest strings of the guitar, which is contrasted nicely with the open and catchy chorus. That is hardly the only catchy moment on ‘Proof’. Opening track ‘Break Out!’ feels like a Japanese spin on the heaviest side of the Foo Fighters, ‘Dreamer’ is a little more aggressive in vocal approach, but just as memorable and ‘Tonight!’ will get stuck in your head no matter what. ‘Proof’ may sound even better when the band adopts a darker approach. The title track inverts NoGoD’s formula by making the verses more positive than its great chorus, ‘Shinkiro’ works its way through multiple climaxes and a wonderfully brooding middle section, while ‘Henrietta’ is surprisingly heavy with some inventive lead guitar work in its chorus. ‘Sendo’ is even the fastest, heaviest moment in the band’s history, bordering on thrash metal. If you want to know what NoGoD is all about, ‘Proof’ may actually be the best place to start. It is generally slightly darker in tone than most of their other works, but every aspect that makes them the great band they are is here, right down to the fantastic instrumental ‘Kyoji to Tomoni’ and the awesome intro ‘In The Cage…’. Once, in the late seventies and early eighties, there was a time when hardrock and heavy metal weren’t two separate things yet. What NoGoD shows here is there is no need for that to be the case in the 21st century either. Asagi’s debut solo album is one of those instances where I doubted the necessity of a solo venture. After all, Asagi is by far the most prolific composer of his main band, the immensely popular visual kei band D, and his surprisingly unique voice is characteristic enough to add D’s character to everything he sings on. What makes ‘Madara’ a successful record, however, is its focus. Japanese folk influences have been quite prominent in some of D’s best songs, but on this album, Asagi goes full-on folk rock and folk metal. And it’s not just a gimmick: the songs are great. Of course, Asagi has not lost his ability to write catchy, powerful rock songs. 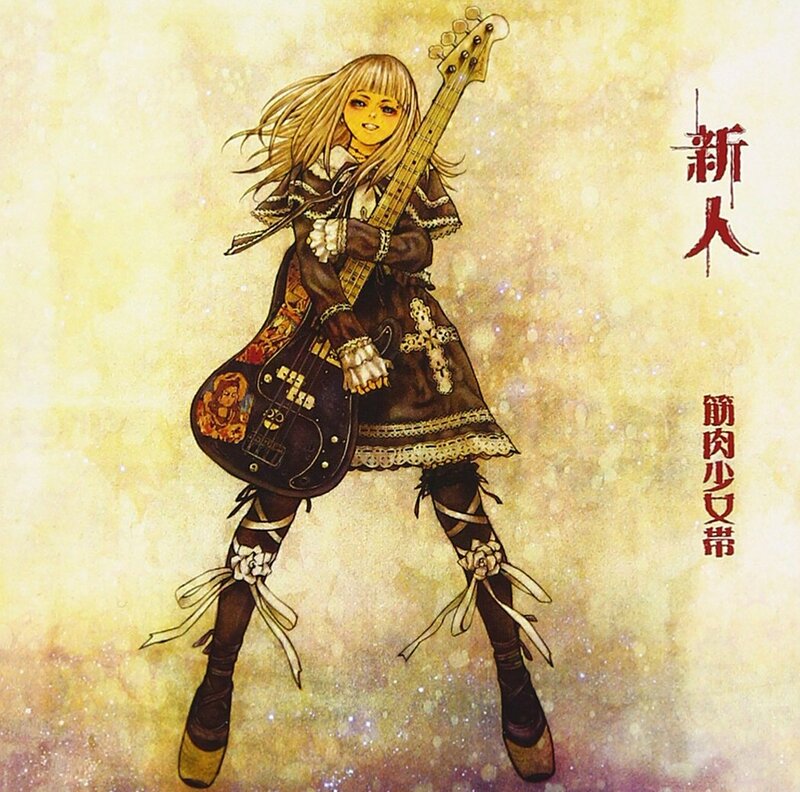 In fact, some of the songs are filled with his trademark stock visual kei melodies – opening track ‘Gekkai No Miko’ most notably – but the Japanese traditional instruments, such as the koto, the shamisen and the taiko drums, are an integral part of the songwriting rather than an extra touch. On a majority of the songs, it’s not the guitars, but these instruments that carry the melodies. While the guitars are there to give them extra punch, that does impact the character of the melodies significantly. While the entirity of ‘Madara’ is highly entertaining, the best moments of the album are the hardest rocking ones. 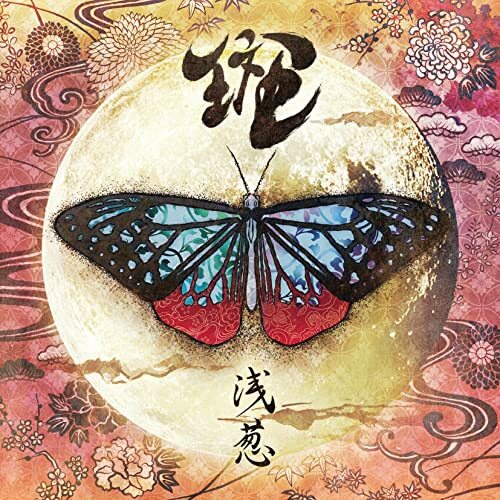 Songs like ‘Hakumenkonmo Kyubi No Kitsune Hidama’, ‘Kimera’ and ‘Komo Sakura’ just work wonders: the shamisen introduces the melody, the electric guitars join, either in unison or as bottom-heavy accompaniment, creating some fantastic oriental folk metal. I have always wondered why the number of bands attempting this style is not larger and Asagi makes a strong case for the combination of sounds. The more melodic rockers, such as ‘Hotarubi’, ‘Hana Kumo No Ran’ and ‘Ooyama Inudake ~Tsukuyo Ni Hoeyu~’ are sure to please D fans, but might also draw in people who usually find them too heavy. Since this is an Asagi album, there is of course room for some ballads in which he can show off his vocal talents. There are quite a few of them here and those are probably the most folky sounding ones on the record. Ironically, it is not Asagi himself, but bassist (and prolific producer) Hajime Okano who stands out on the album’s best ballad ‘Kaishikoki Eru E Kaeryanse’ features some gorgeous melodic work on the fretless bass that really enhances the atmosphere of the song. Closing track ‘Asagimadara’ is another beautiful ballad, this time with absolutely stunning symphonic touches. Beside the songwriting, it is also impressive how Asagi managed to make the album about the songs and not about the all-star cast that appears on the album, which features members of Luna Sea, Dir En Grey, Galneryus, D and loads of other high profile Japanese bands. It still sounds like a cohesive collection of songs and that, again, is probably the result of Asagi’s razor sharp focus. He wanted to make a powerful rock album that was heavy on the Japanese folk influences and that is exactly what ‘Madara’ has become. One of the Japanese highlights of 2018. For some reason, ‘Gaia’ often gets ignored when people discuss the greatest works of Gargoyle. Up until last year’s unfortunate dissolution of the band, the songs on ‘Gaia’ did not even appear on their live sets all that much. Maybe that is a result of the material on the album making optimal use of the two guitar line-up, since Gargoyle would continue with just one guitarist after Yotaro left. It would really be a pity to let ‘Gaia’ go by unnoticed though, because there is simply too much good music on the album. It is in fact one of Gargoyle’s finest efforts. ‘Gaia’ is probably the second most experimental album Gargoyle released to date, surpassed only by its predecessor ‘Natural’. 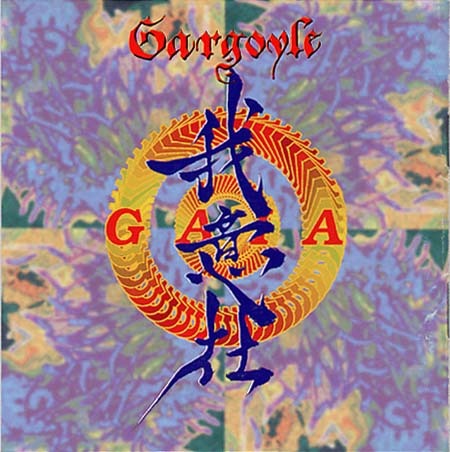 Unlike the latter, however, ‘Gaia’ feels pretty coherent stylistically and does not have as many sudden shifts, save for maybe the odd, but successful percussion and Spanish guitar exercise that is ‘Hako’ and the hyperactive funk rock of ‘Baby Cat’, one of Gargoyle’s better funky tracks. Everything else consists of variations on the trusted Gargoyle formula. Some songs have a cleaner guitar approach and more swing rhythmically (‘Unkown ~Annon~’) or a more exotic overall sound (‘Yagate Hikaru’), but but the thrash riffs and heavy metal melodies are everywhere. Opening track ‘Wakakusa No Kimi’ does a pretty good job of preparing its listeners for the general sound of ‘Gaia’. The rhythm guitar work and Katsuji’s rolling double bass thunder still is as deeply rooted in thrash as the band always was, but the overall approach is a little more melodic. Frontman Kiba even shows a surprising amount of restraint in its uncharacteristically melodic vocal lines, but it all works remarkably well. ‘Sora Wa Ao’ is another track that manages to successfully blend a wild, propulsive bottom end with a melodic, almost rocky top layer. That does not mean ‘Gaia’ cannot thrash your face off. The stomping ‘Meditation’ and the vaguely OverKill-ish ‘Who Are You?’ are both excellent energetic thrashers in the best Gargoyle tradition, while especially the speed monster ‘Kamikaze’ is absolutely annihilating. Truly one of the highlights of the band’s career. If ‘Gaia’ proves anything, however, it is that Gargoyle does not have to do that to sound amazing. ‘Sanbika’, for instance, is one of the most powerful tracks on here and it has an almost doom metal vibe, with Kentaro’s and Yotaro’s riffs not containing any more notes than they have to and Toshi laying down some of his best melodic bass lines. Definitely one of the best of their more atmospheric tracks. My only complaints about ‘Gaia’ are aimed at its production. The guitar sound is not as powerful and pulsating as it should be and I have no idea why Kiba’s vocals on ‘Sayonara Jibun’, otherwise a very pleasant melodic thrasher, had to be so trebly, borderline unlistenably distorted. But apart from that, ‘Gaia’ is one of the best albums the Japanese experimental thrash machine has ever released. It may even have been the most consistent set of songs they have ever recorded, save for the near-perfection of ‘Tsuki No Toge’. With his amazing voice being the defining factor that it is in Buck-Tick, it is quite surprising that no one in the Japanese record industry pushed Atsushi Sakurai to release more solo albums than just ‘Ai No Wakusei’. It sold reasonably well, but it would be logical to assume that Buck-Tick took up most of his time, given that their second career peak started shortly after its release. With several of the song titles containing references to his contributors, it is likely that Sakurai was inspired by the people he worked with. That also explains the wide range of styles here. A different songwriter and different musicians on every track sounds like the album could turn out quite messy and to be honest, it kind of is. After Wayne Hussey’s sublime gothic rock of opening track ‘Sacrifice’ and Raymond Watts’ heavy industrial rock with Arabic string interlude in ‘Yellow Pig’, the album is all over the place for a while. There’s electronic tracks (‘X-Lover’), sparse funk highly reminiscent of Prince (the surprisingly cool ‘Smell’) and J.D. Thirlwell – perhaps better known as Foetus – contributed the hyperactive, chaotic jazz of ‘I Hate You All’. That could throw you off, but it’s worth hanging on. The album settles for a certain groove during its latter half, that groove being low-key rock with a distinct dark vibe. It is public knowledge that Buck-Tick guitarist Hisashi Imai was inspired to write a more gothic-leaning album (the incredible ‘Jusankai wa Gekko’) after hearing Sakurai’s solo performances in support of ‘Ai No Wakusei’. And with songs like the menacing ‘Hallelujah!’, the incredibly dynamic ‘Shingetsu’ and the brooding majesty of ‘Yokan’, a reworking of his excellent collaboration with Dutch electro-goths Clan of Xymox, it is clear why Imai heard the impact Sakurai could have in dark, gothic surroundings. His deep, emotional baritone is tailor-made for it. However, that does not mean that ‘Ai No Wakusei’ is all dark all the time. 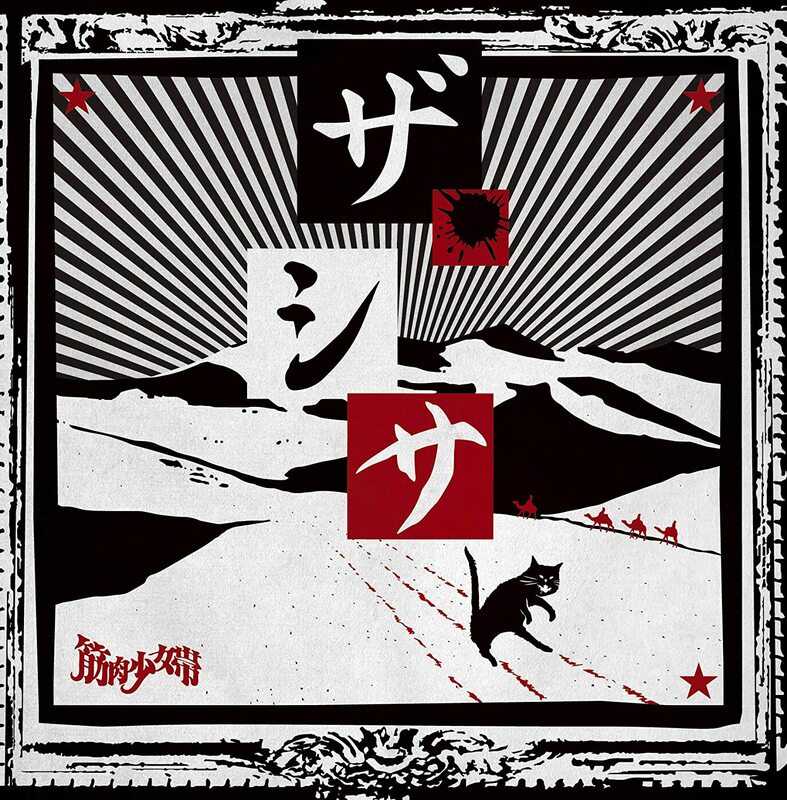 ‘Taiji’ has an optimistic chorus with subtle guitar work and a gently purring hammond organ in the background, while as a whole, the track is simply a powerful, well-constructed pop rocker with several surprising climaxes. ‘Fantasy’ is an upbeat electro-based track and the semi-title track ‘Wakusei’ has a bit of a positive ring to it, despite being built upon crunchy power chords and reverb-drenched lead guitar parts. ‘Neko’, which I assume is a tribute to Sakurai’s cat, even closes the album in a surprisingly soothing manner. Somehow, ‘Ai No Wakusei’ is one of those albums where you don’t know what to expect even after you have heard it. But that is part of its charm as well. What the first half of the album lacks in terms of flow, the album as a whole more than makes up for in the individual quality of the songs. It is also not quite as vocal-centric as one might expect from a solo release by a singer as characteristic as Sakurai. A decade later, Sakurai would team up with several ‘Ai No Wakusei’ contributors to form The Mortal, but in name, this is truly the only album where he could do whatever the hell he wanted and one thing is for sure: he ran with it. Solo projects are an odd phenomenon. Technically, they could highlight a vision someone is not allowed to display in their main band, but they are often a disjointed mess. Acid Black Cherry’s debut album ‘Black List’ has all the symptoms of the latter – a rotating cast of musicians, a wide range of styles – but ends up being much closer to the former. The strict direction of main man and sole songwriter yasu keeps the whole thing from spiraling out of control. 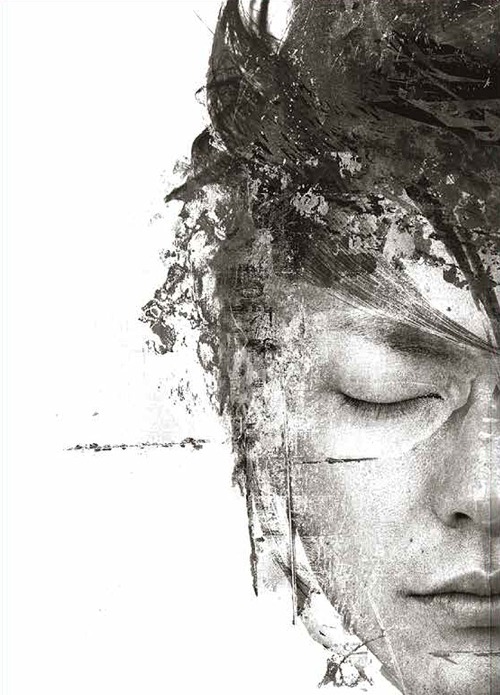 Realizing the importance of the first strike, ‘Black List’ is a minor J-rock classic and likely yasu’s best work yet. In essence, the music on ‘Black List’ is not as far removed from yasu’s former band Janne Da Arc as one might expect. The differences are almost cosmetic rather than fundamental. On ‘Black List’, Acid Black Cherry is somewhat heavier and considerably more theatrical than Janne was, but the focus is still mainly on highly melodic rock songs with instantly hummable choruses, energetic but not too complicated riff work and a strategic use of light-and-shade workings. The approach is not too dissimilar to what Gackt has been doing for the last decade, but notably less predictable and therefore better. While it would be easy to blame the immense artistic value of ‘Black List’ on the contributions of big names in J-rock – including Luna Sea’s Sugizo, La’cryma Christi’s Shuse and Siam Shade’s Daita and Jun-ji – the truth is that yasu’s songwriting and arrangements are simply really good. Arrangements are worth mentioning, because it’s exactly the fantastic use of keyboards and strings that adds some class to the surprisingly dark, menacing nature of the fanatastic opener ‘Sins’ and the bass and horn arrangements that lend an authentic jazzy edge to the manic ‘Black Cherry’, as wildly as it rocks most of the time. On ‘Black List’, the genre-hopping is its forte rather than its flaw. The dark, dangerous vibe that made me love ‘Sins’ so much is revived on ‘Murder License’, while ‘Bit Stupid’ is an infectious, breezy and funky pop rocker. ‘Fuyu No Maboroshi’ is a particularly theatrical ballad, while ‘Shojo No Inori’ is a fun melodic hardrocker that would not have sounded out of place on one of Janne Da Arc’s later albums. Occasionally yasu’s particularly light and thin voice is a little grating, but overall, it’s remarkable how well it works on the harder rocking tracks on ‘Black List’. Despite releasing more quality material throughout the years, Acid Black Cherry would never again release an album as good as ‘Black List’. Some serious overproduction drags most of their albums down, though none of the original albums is less than enjoyable. Though a lot of effort has gone into the production and arrangements of ‘Black List’, this album truly is enhanced by the effort. There is a bit of a risk that western rock fans might find yasu’s voice a little off-putting, but the fact remains that ‘Black List’ is a fantastic album. It even sounds like one rather than a loose collection of songs. That alone is already rather impressive within the J-rock realm.